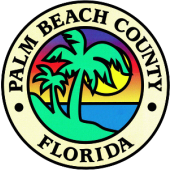 Palm Beach State College is a community college that offers a Patient Care Assistant program that qualifies students to work as certified nursing assistants (CNAs). The program requires 120 hours of training, as well as a minimum of 40 clinical hours. Upon the program’s completion, CNAs can work for a wide variety of employers in the area, including VITAS Hospice. The Academy for Nursing and Health Occupations is one of the few colleges in the Palm Beach area to offer an occupational associate’s degree, which prepares students to work as licensed practical nurses (LPNs). This rigorous program requires 1,350 hours of combined classroom and lab practice. LPNs working in the Palm Beach area can expect to earn around $43,820 per year. South University – West Palm Beach is a private institution offering both bachelor’s and master’s degrees in nursing through the College of Nursing and Public Health. The bachelor of science in nursing (BSN) program is a strong choice for students who wish to become registered nurses (RNs). The master of science in nursing (MSN) program is for RNs who wish to advance their education and specialize further in their careers. Registered nurses in the Palm Beach area are in high demand, and the median income for RNs in the area is $55,790, among the highest in the state of Florida. To help you learn about these and a number of other options, check out the below list of the top nursing schools and programs in the Palm Beach area.